St. Bart’s has enjoyed the benefit of over 50-years ministry of music by its Director of Music, Ms. Dorean Boss.Dorean is both highly acclaimed and accomplished as a professional musician, performer and teacher within the music and entertainment world. One of the high points of each Christmas season is the “Christmas Cantatas”. Under Dorean’s leadership, members of the choir and performers from the Brampton community, including professional musicians, put many hours into providing a polished and professional program. Similar presentations have been conducted over the Easter week and nothing short of dedicated professionalism has been the norm. Each week the director of music researches and strives to support the key message of Sunday worship with special thematic material. 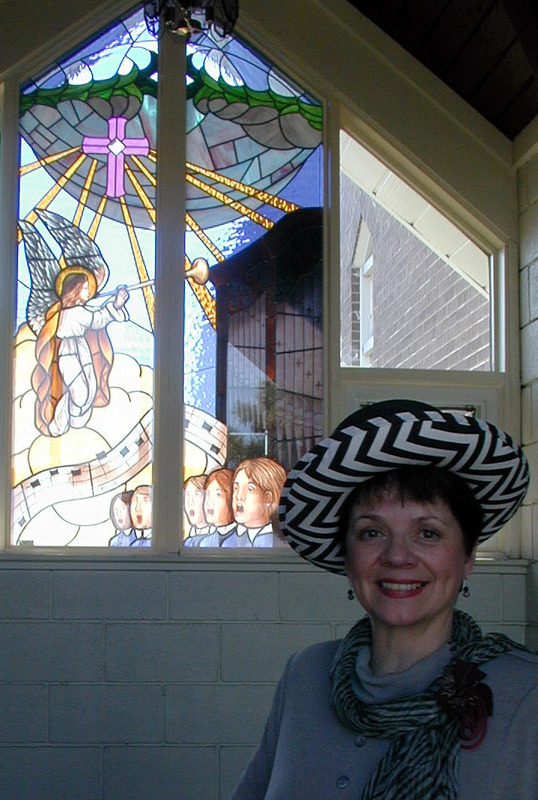 In 2003, St. Bartholomew’s installed and dedicated a magnificent stained-glass window at our entrance to the Church, honouring our worship of music over the past 40 years. Music is an integral part of our Sunday Worship. Our choir provides a variety of music styles for abalanced music ministry. We use Voices United as our Hymn Book. The Choir is always looking for new voices. If you are interested, please call the church at 905-451-2768.